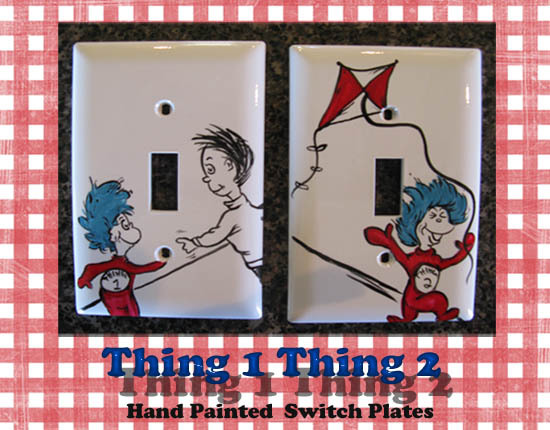 These darling switch plate covers are hand painted made to match any Dr. Seuss decor you would like. Be sure to fill out the memo field below with your design preference for the covers, any Seuss Characters can be painted. Select number of switch slots you need and the style.